Project WCF head swap: Quest for 6 in" Super figures!! 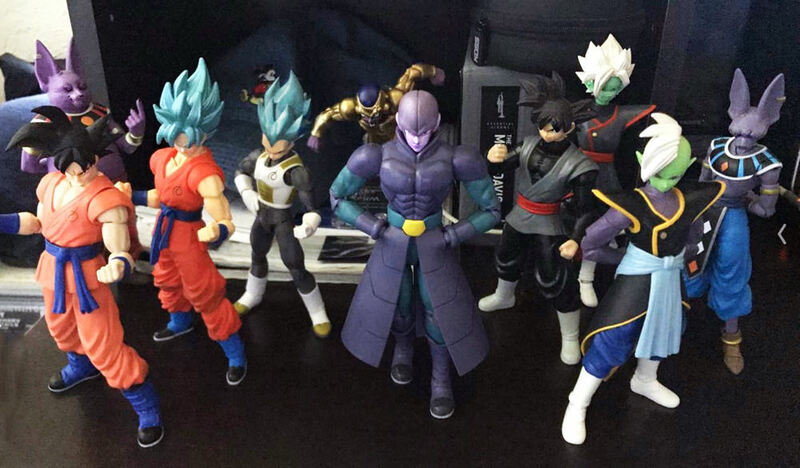 I recently purchased some WCF's with the intention of doing Dragon Stars head swaps. I saw the potential for Hit, Zamasu, Gowasu, Black and even Merged Zamasu. Being somewhat impatient, i approached with a thin swiss army keychain-blade that was able to be inserted into small crevices where the neck meets head. 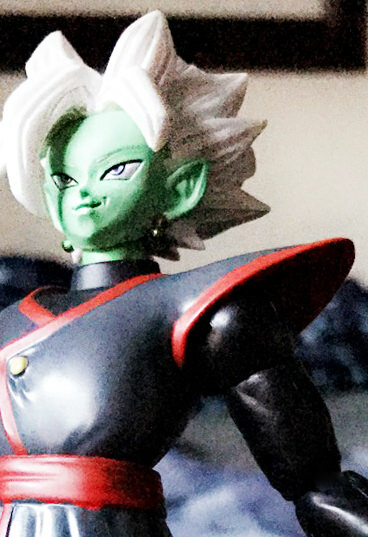 Zamasu and Gowasu were actually attached the same as the old style WCF's. The thing is, they were glued as well... head pulling, neck stretching/extending, and full 360 head turning was neccessary. That and some blade insertion eventually made them come off rather clean to my surprise, but only after much persistence and worry of breaking the figure. 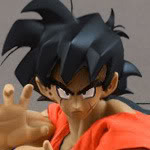 The goku Blacks were a much more ardent ordeal. i had to essentially excavate the neck from the head using repetitive deep inserts of the blade. I thought i was screwing everything up, but they are hollowed out once you get to a certain point in the head. The WCF' heads fit well enough on figuarts and dragon stars neck pegs, albeit some pushing and forcing. i havent received my wcf hit head yet so i just tried to color him purple and panel line. Most of the newer WCFs I've been getting I've had to cut the heads off the bodies I believe they been gluing them on. So maybe try heating it put and pulling it off. yeah, i've noticed that too. mogen How do you usually go about cutting the heads off, do you start at the neck, X-acto blade? hot water and a lot of pulling lol cutting it at the neck under the head works too I drill it out to fit the neck anyway so I don't worry if it isn't the prettiest thing in the world. I would just boil some water in the microwave (8 oz measuring cup takes 1 minute, 30 seconds usually), submerge the WCF figure for maybe 45 seconds, take it out using some hotdog tongs, lay it on a towel/rag, blot it off/shake it, then try to pull the head off. If all else fails, it'll be super easy to cut the plastic with an X-acto knife if you heat the figure this way first. Added an update and some pictures to the description! 1: Can you head swap Beerus with WCF? I really don't like the Dragon Stars head. Thanks! futureztrunks67 I don't see why you shouldn't be able to do it. 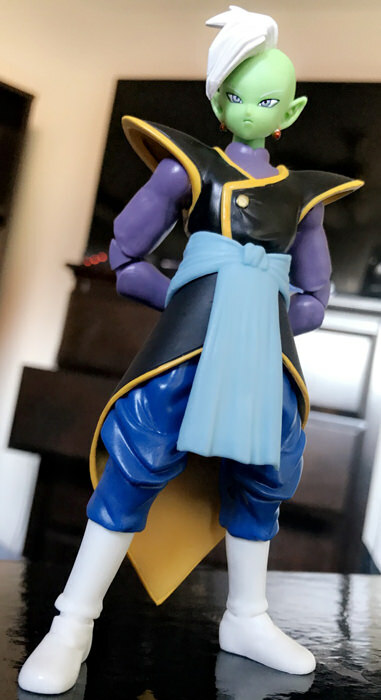 I don't have dragon stars beerus, or a wcf beerus, but as long as you can find a way to extract the head and carve a hole in the bottom, you can make it fit. There are probably much better ways to do it then my "brute force/whats laying around'" method. ive heard you can separate the head and use a dremel or such to drill a hole under the head. Hey man, gotta say I love how these came out! I would definitely be interested in doing the same. I'm really not familiar with the WCF line, would there be any chance of you showing which WCF figures you used? I would seriously appreciate it. 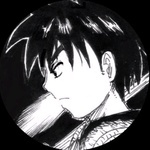 I would also be very interested in seeing some head on shots of Black and Merged Zamasu, like the one you took of regular Zamasu in the first post, but no pressure to do that. These came out very well! You should post before and after pics with the original head and new head to show the improvement.